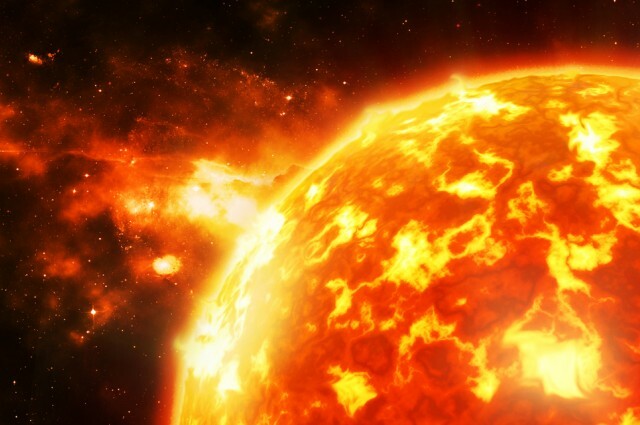 A new study led by researchers from the University of Warwick, suggests that our Sun has the ability to yield “super flares” 1000 times more powerful than normal flares. The research paper is to be published in the Astrophysical Journal Letters, a pre-print of the research paper is also available on Arxiv. Scientists looked at a distant binary star known as KIC 9655129 in the Milky Way. This particular star is well known to astronomers due to its super flares. This recent research shows that the physics of super flares on a binary star, KIC 9655129, remarkably their quasi-periodic pulsation (QPP, meaning nearly periodical) spotted by the Kepler space telescope, are alike to the relatively minor flares seen on the Sun. The biggest solar storm on record is the 1859 Carrington occurrence, which apparently set telegraph wires on fire, however it’s still unclear if this was a super flare. Today, considering how much more global technology is, the destruction would possibly be much more severe from a similar storm or a super flare, with a projected energy of a 1-billion-megaton bomb for the latter. There is no need for an urgent alarm just yet, but the study does at least propose a possibly unrealized power our Sun holds.